We've been making these gluten free chocolate donuts every Easter for the past few years (and a few times in between too!). It's a super simple, one bowl recipe that the kids can help make and decorate, and can also be used to make cupcakes. Combine wet ingredients and then add dry ingredients and mix well. 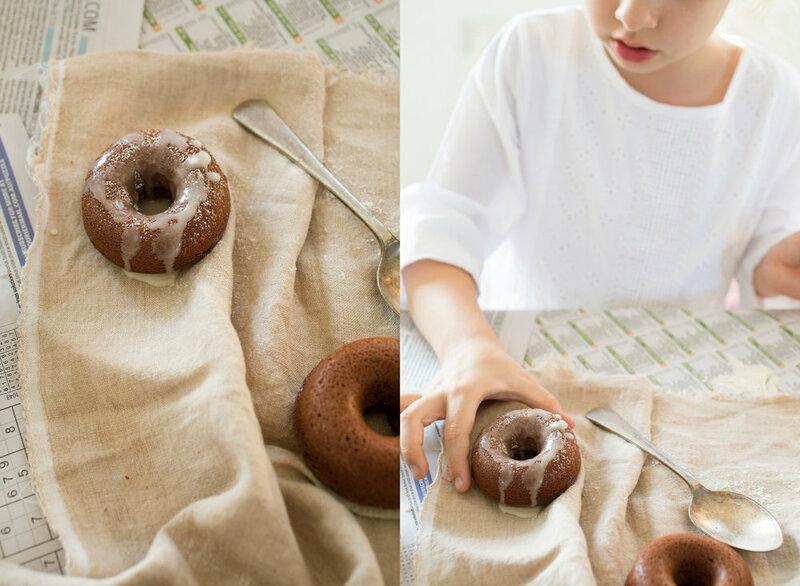 Pour mixture into well greased donut trays and bake in a medium oven for 10-15 minutes or until a skewer poked into the centre of one of the donuts comes out clean. Decorate with icing sugar, a simple glaze, or whatever takes your fancy!